For much of the past year, the major criticism of Foursquare was that it only worked in a few select cities in the U.S. and was basically iPhone-only. In the past few months, both Foursquare itself and a growing core of third-party developers have changed that. 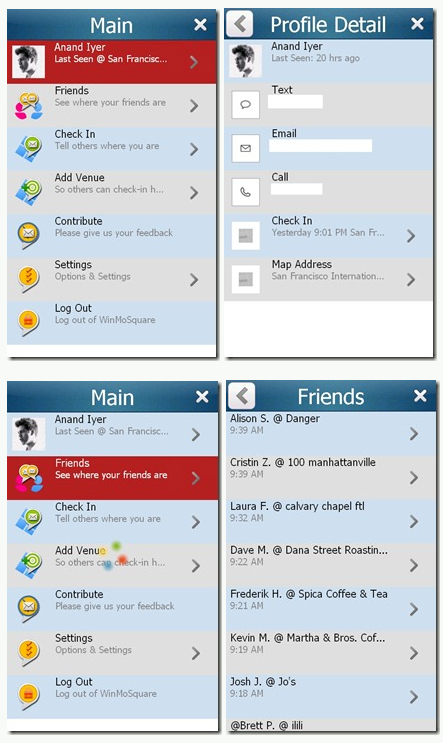 Today brings yet another expansion in the Foursquare universe with the beta launch of a Windows Mobile app. To be clear, this app is only meant for touch screen Windows phones, and you need to be running either Windows Mobile 6.1 or 6.5. But if you have those, you can submit your email address here to be let into the beta. Once they kick the tires in beta for a bit, the plan is to submit the app to the Windows Marketplace for Mobile, Windows Mobile Sr. Product Manager Anand Iyer writes today on his personal blog. Iyer has been working on this project on the side for a few months now, and made the app along with the help of development house Touchality. This isn’t (yet) an officially sanctioned Foursquare app, but Iyer and crew have been working with the Foursquare team since before the public APIs were made available to get it done. 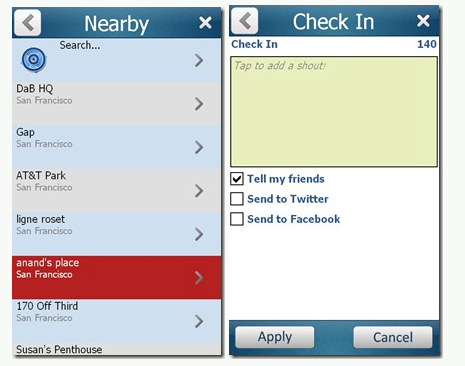 Foursquare itself made its iPhone app and the just-launched BlackBerry app, but the Android app and the WebOS app (that works on the Palm Pre) were also done by a team outside the company. 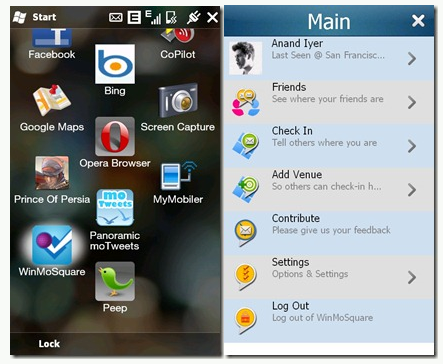 This addition of a Windows Mobile app leaves Symbian as the only major mobile OS with a native client, but work is also being done on that front. Foursquare also offers a limited mobile web version. Foursquare itself is hard at work on a complete revamping of their main website. While it currently serves as a way to view some of your location data, you can’t do things such as check-in from the site. For that, I’d recommend using the excellent FoursquareX application. Unfortunately, that is Mac-only for now.